Shipping delay for Fallout Crate for April 2019. 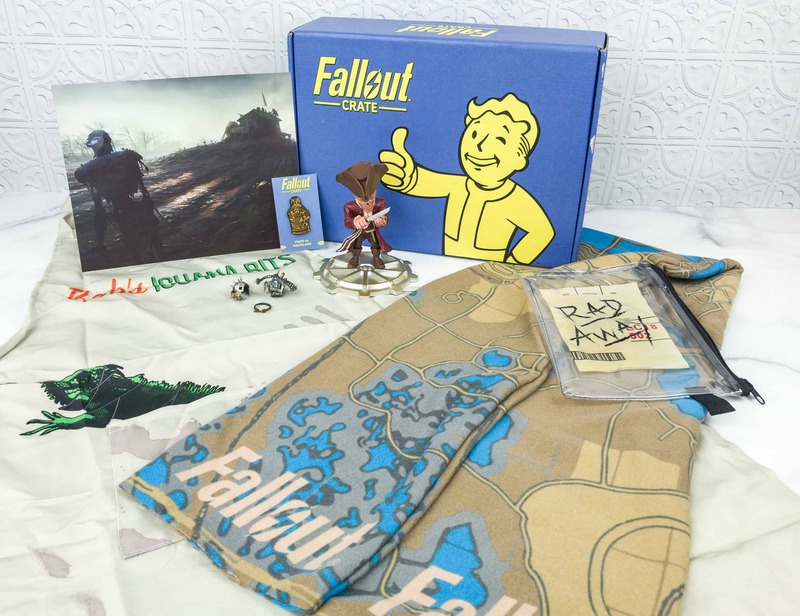 See the theme spoilers for the June 2019 Fallout Crate subscription box from Loot Crate + coupon! 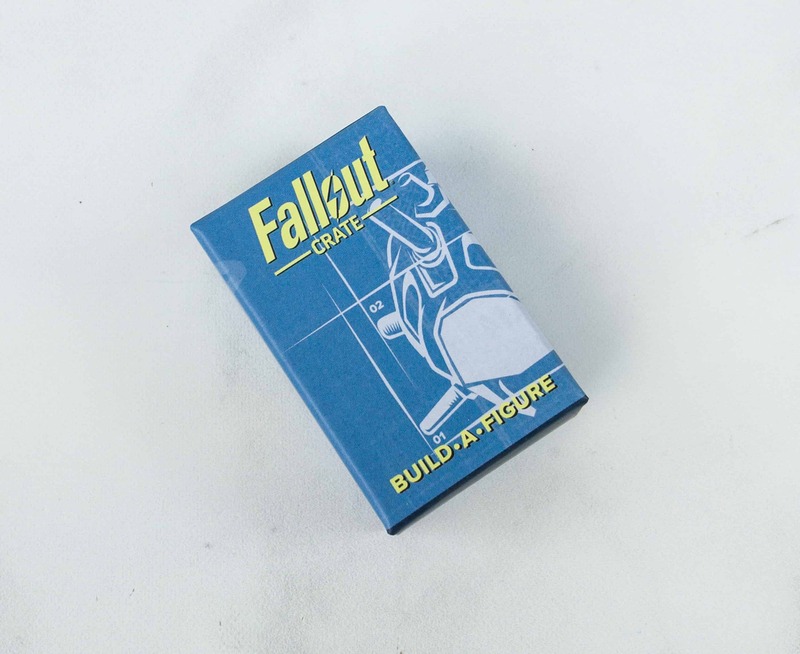 Fallout Crate is a bimonthly subscription of Fallout gear and collectibles. February 2019 theme is AFTERMATH! Check out the review + coupon! 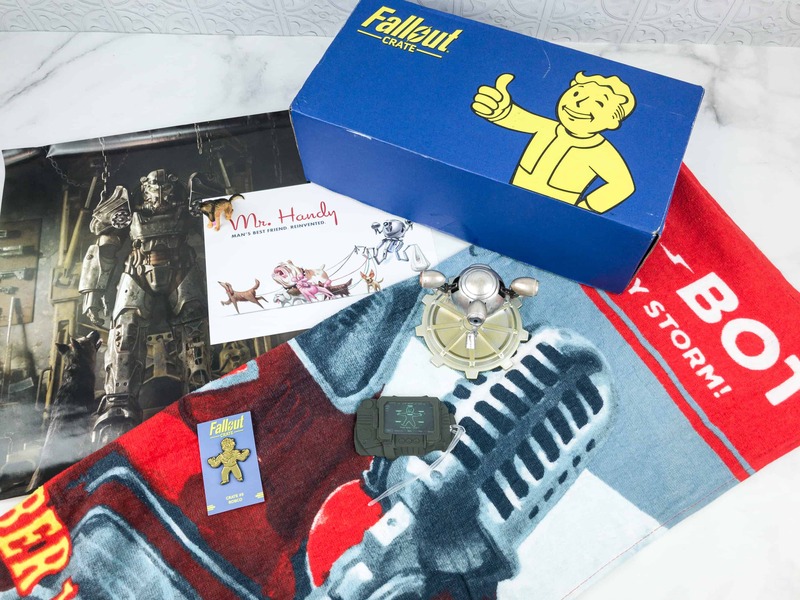 See the full spoilers for the February 2019 Fallout Crate subscription box from Loot Crate + coupon! 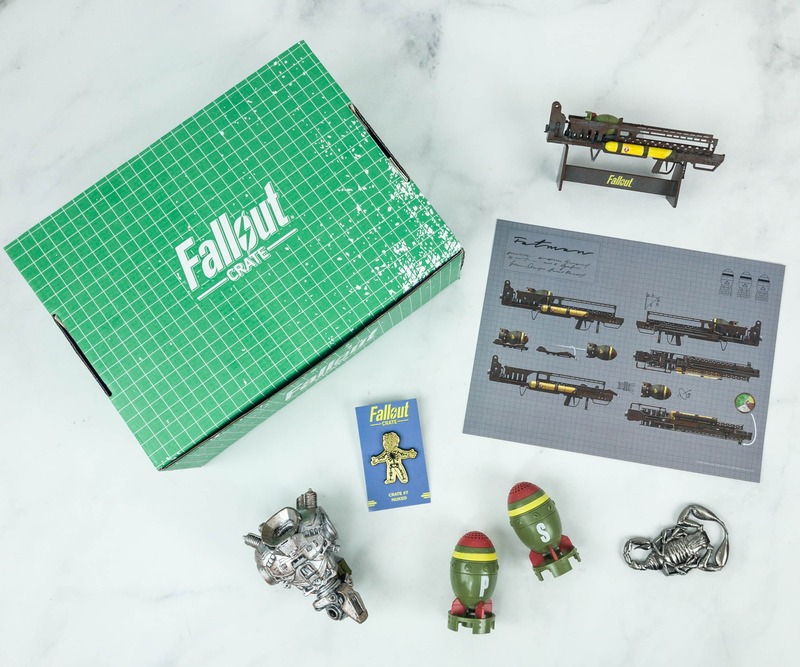 See the first spoilers for the April 2019 Fallout Crate subscription box from Loot Crate + coupon! 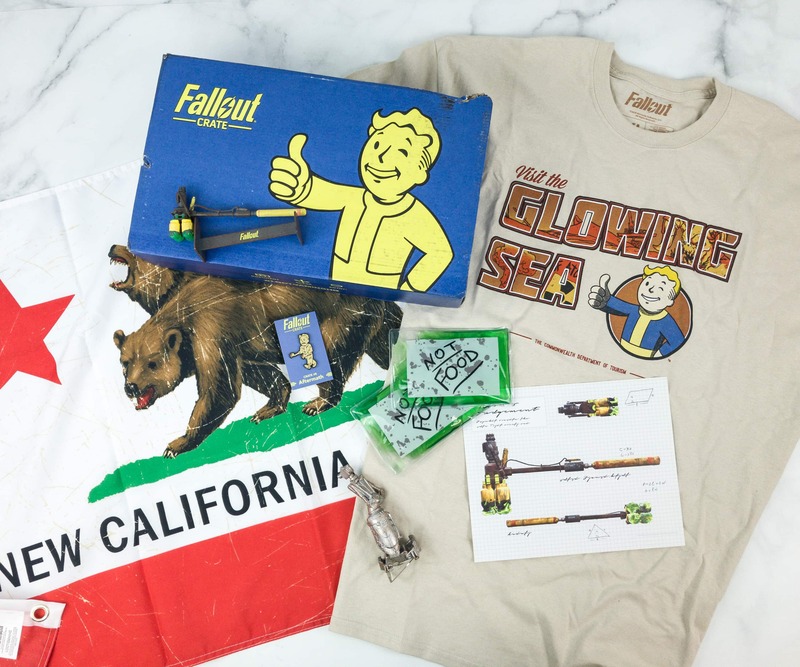 See the theme spoilers for the April 2019 Fallout Crate subscription box from Loot Crate + coupon! Fallout Crate coupon – save 30% on an annual subscription plus get the first piece of Liberty Prime Build-A-Figure! LAST CHANCE! Fallout Crate is a bimonthly subscription of Fallout gear and collectibles. December 2018 theme is NUKED! Check out the review + coupon! See the figure spoilers for the February 2019 Fallout Crate subscription box from Loot Crate + coupon! See the full spoilers for the December 2018 Fallout Crate! See the Series 2 Build A Figure spoilers for Fallout Crate’s 2019 series! 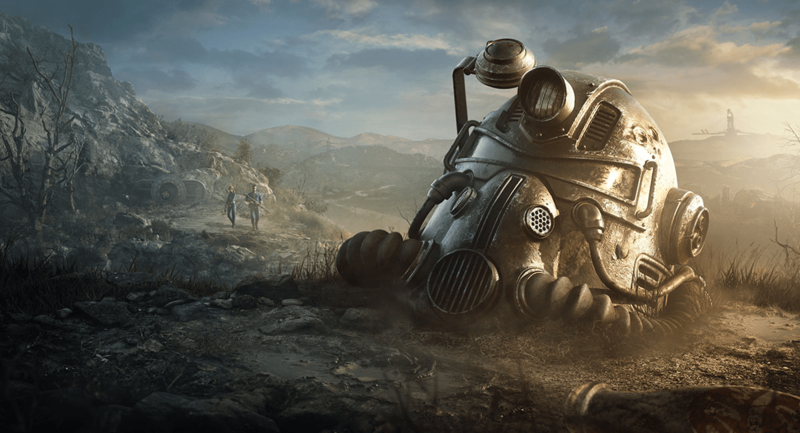 See the theme spoilers for the February 2019 Fallout Crate subscription box from Loot Crate + coupon! 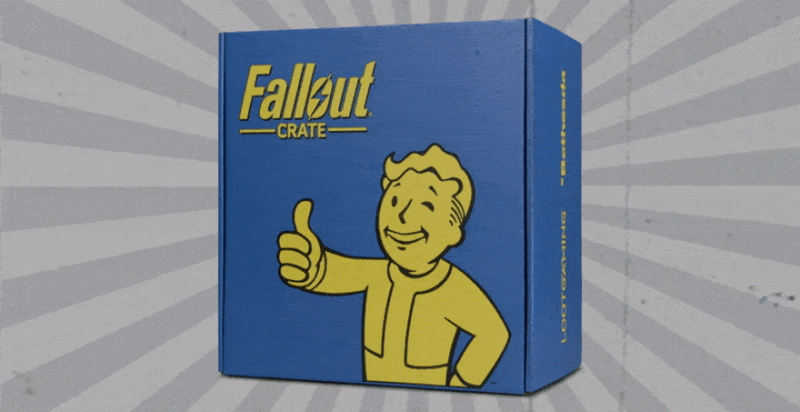 Fallout Crate coupon – save 20%! LAST CHANCE! 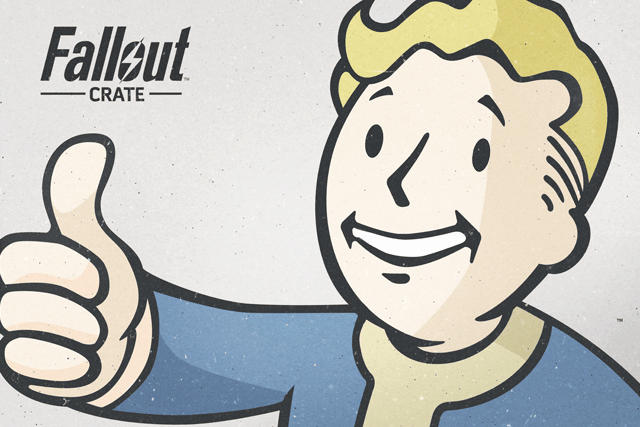 Fallout Crate coupon – save 20%! Fallout Crate Cyber Monday Deal – 50% Off subscriptions – up to 3 crates! Fallout Crate Black Friday Deal – 50% Off subscriptions – up to 3 crates! See the figure spoilers for the December 2018 Fallout Crate subscription box from Loot Crate + black friday coupon! 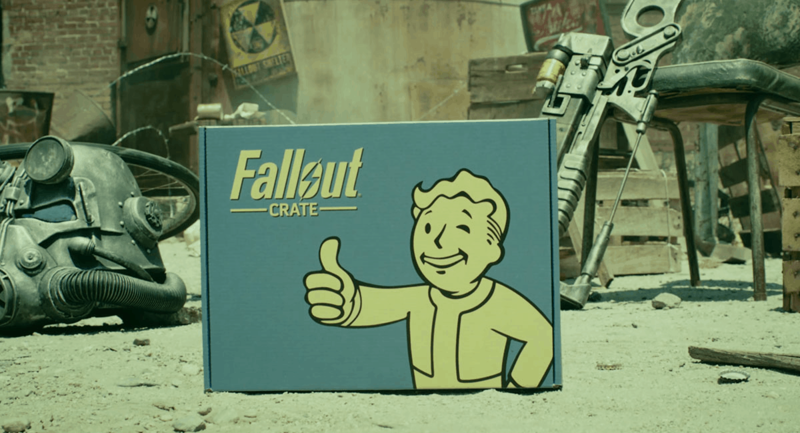 Fallout Crate is a bimonthly subscription of Fallout gear and collectibles. October 2018 theme is Wasteland! Check out the review + coupon! See the full spoilers for the October 2018 Fallout Crate subscription box from Loot Crate + coupon! Shipping delay for Fallout Crate for October 2018. See the theme spoilers for the December 2018 Fallout Crate subscription box from Loot Crate + 25% off coupon! 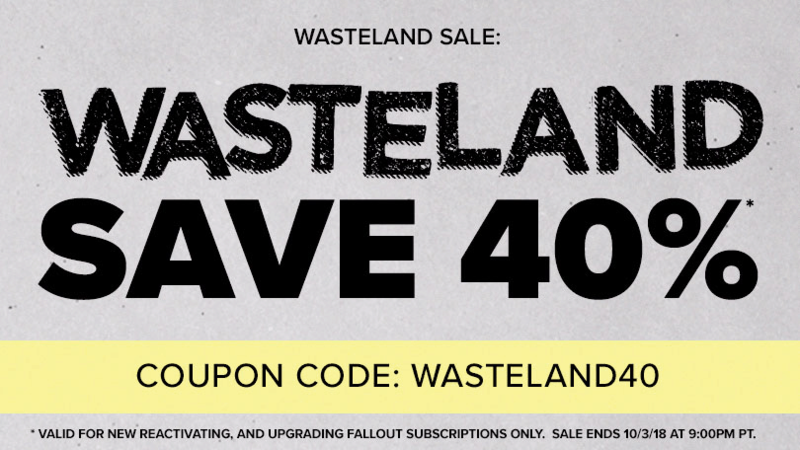 Fallout Crate Sale: Get 40% off your subscriptions! LAST CHANCE! See the figure reveal for the October 2018 Fallout Crate subscription box from Loot Crate + 40% off coupon! 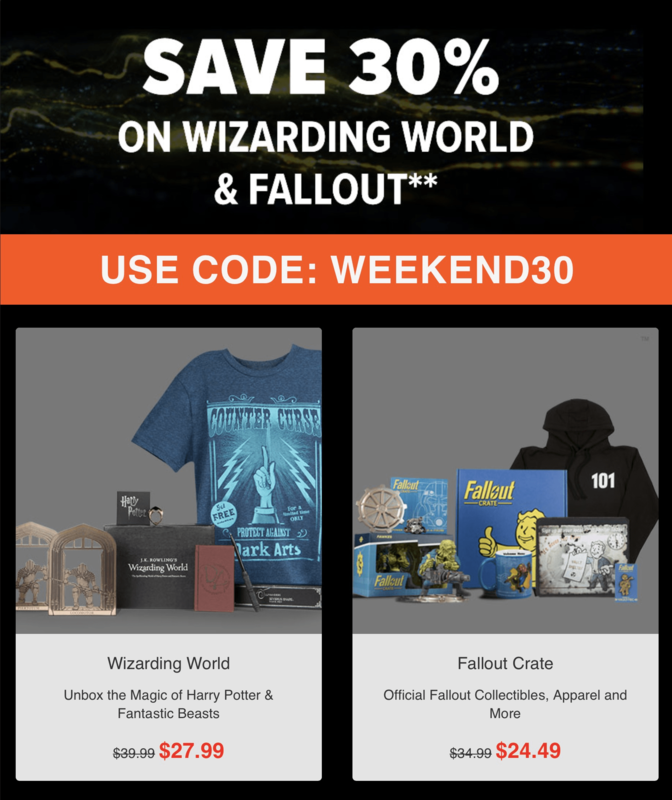 Wizarding World Crate & Fallout Crate Sale: Get 30% off subscriptions – this weekend only! LAST DAY for the Loot Anime, Loot Gaming Sale: Get 30% off subscriptions! 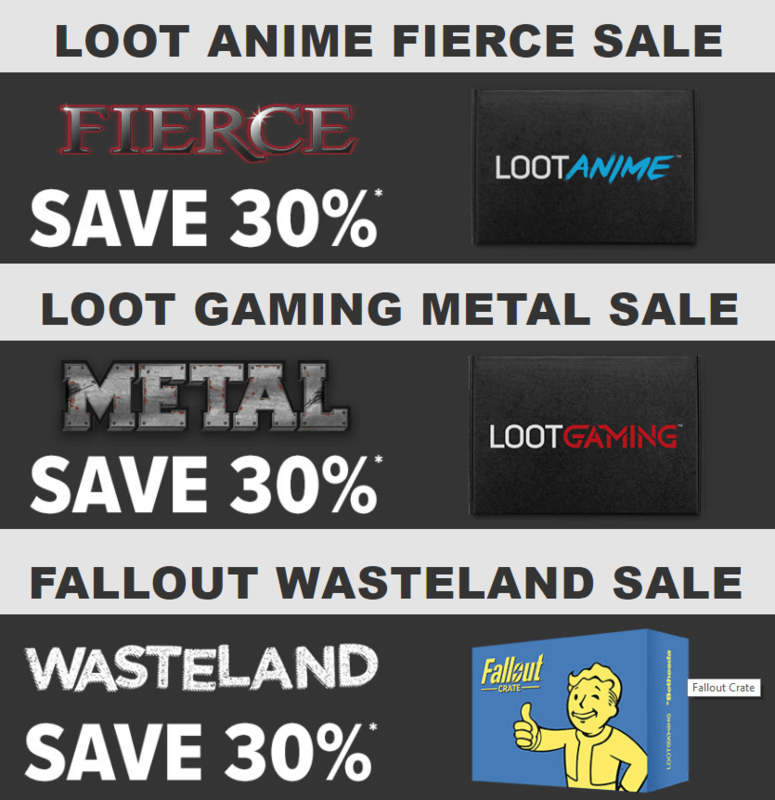 Loot Anime, Loot Gaming, & Fallout Crate Sale: Get 30% off subscriptions! 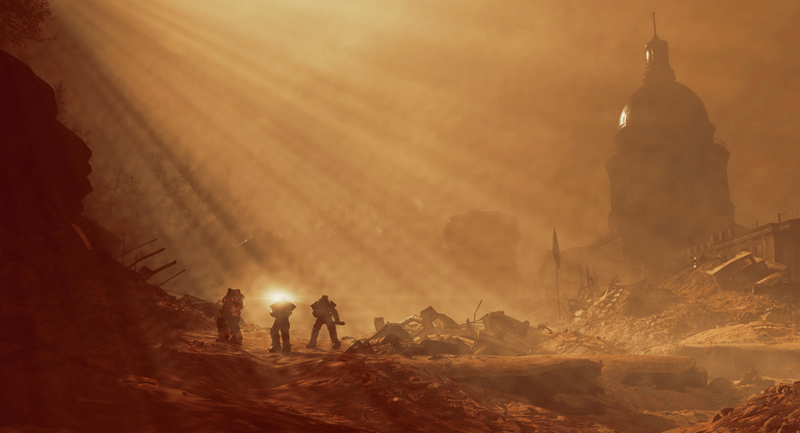 Fallout Crate is a bimonthly subscription of Fallout gear and collectibles. August 2018 theme is Mr. Handy! Check out the review + coupon!